Croagh Patrick (Reek) Seven days in a Row. On January 22nd - 28th. Johnny Oosten & Danny Cassidy will attempt this awesome task in aid of Autism Ireland. 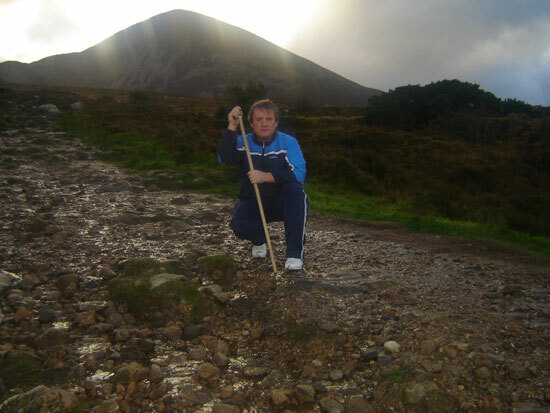 Johnny Oosten preparing for the seven day repeat climbing of Croagh Patrick 22-28 Jan 2007 in Aid of Autism Ireland. Rathbawn Road�s Second Neighbourhood Watch.